Europe stands at a crossroads in 2017. For nearly 70 years, it has known only one direction: ever stronger integration involving a steadily rising number of countries. Now a big economy and political heavyweight has turned its back and is leaving the European Union. Brexit will be seen as a turning point in history. For the time being it is very uncertain how relations between the U.K. and the EU of 27 countries will develop. The wider fallout remains to be seen. Nationalist parties from right and left in other countries are using the British example to support their calls to exit the EU. However, the enormous complexity of Brexit and the potential for economic damage may act as a deterrent to others tempted to take that path. But it's not only the EU that's at risk. 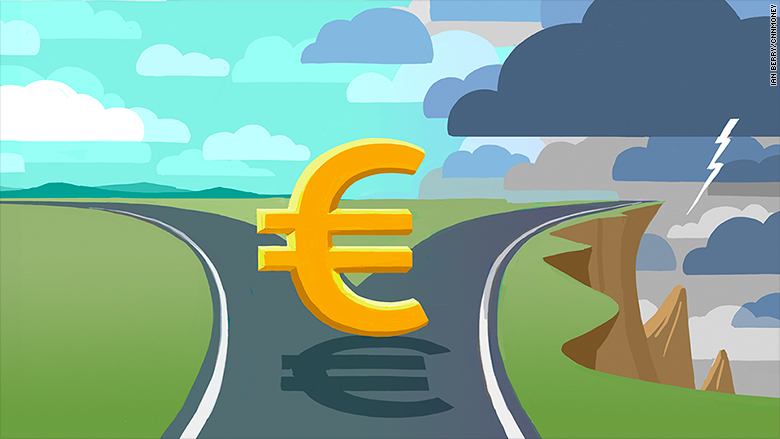 The euro is also at a crossroads. Writing this piece reminds me of the fact that I used this term in 2007 in the headline for the last chapter of my book, "The Birth of the Euro."